#181: Describe your first memorable experience exploring and spending time in nature. Were you in awe? Or were you not impressed? Would you rather spend time in the forest or the city? I’ve been thinking about this for at least 20 minutes and, quite sadly, have to admit that I can’t think of a single time where I’ve explored/spent a substantial amount of time (not even half an hour!) just taking in nature. I do remember when I was younger spending time lying on the grass, watching the butterflies flitting around our huge buddleia tree in the garden but I’m guessing that doesn’t count. Although I do remember how enchanting it was to watch them – sounds silly but they do have a mysterious way of moving and just being. That said, I would love nothing more to go to somewhere like Borneo (Orangutans), Rwanda (Gorillas), Uganda (Chimpanzees), or even on an African Safari (Giraffes, Elephants, Lions etc) where I could simply sit and watch the wild animals live their lives. I can imagine that is an absolutely incredible thing to witness! #180: You’ve imbibed a special potion that makes you immortal. Now that you’ve got forever, what changes will you make in your life? How will you live life differently, knowing you’ll always be around to be accountable for your actions? With reference to accountability – I’m guessing when you live forever, you learn not to care so much about things. I’m not saying that I’d participate in bad actions/behaviour and not care, but just the day to day trivial things that people worry about. #179: Tell us a moment or an incident that you treasure — not necessarily because it brought you happiness, but because it taught you something about yourself. A few weeks ago I had a work experience type of day as a Content Intern, at an Internal Communications Agency company in Milton Keynes, called Headlines. It was an absolute eye opener! Not only was it a huge office with lots of different departments, but everyone seemed to have such fantastic relationships with everyone… and they had a kitchen/lounge area so people didn’t have to eat their lunch at their desks! I was first asked to write a news story for APM’s website titled ‘Crossrail 2 could open four years ahead of schedule‘. Amazingly, within half an hour it had been read and handed back to me with only THREE minor changes. Since my background in journalism is mostly to do with the kids market, they were really impressed that I’d picked up their house style so quickly. After I had made these changes and re-submitted my copy, I was asked to write a variety of sections across two double page spreads for Amazons internal magazine, Outside The Box. Using a very brief outline and some investigation into the various global departments, I was able to turn around multiple stories fairly quickly. Finally, I was asked to research suitable Internal Communications stories that Headlines could rewrite for their own website. I found this extremely interesting, so it ended up being a pretty difficult task to only find five stories! At the end of the day, I was invited to a conference room and was delighted to hear that they wished they had me for longer than one day as everything I had written, was exactly the way that Headlines staff would have written them. I’ve never been one for visiting art galleries – whenever I think about going into London, I automatically think of West End theatres and visiting museums, such as the Natural History Museum and the Science Museum (THE fun days-out places from my childhood!). I think an interest in Art, is mostly determined by your surroundings when growing up – if members of your family have a passion for it, if you attend a school that specialises in Art (mine was sports… not that I turned out particularly sporty) and the area you live in. When I think of my family, I think theme parks, pub lunches and package holidays – so art culture wise, it’s just not us. That said, the types of art I do like (as I don’t have one in particular) are things such as The Big Bang Theory pop art, Egyptian art on papyrus paper, or something more simple like beautiful gerberas or butterflies! Images: TBBT – www.defanafan.com. 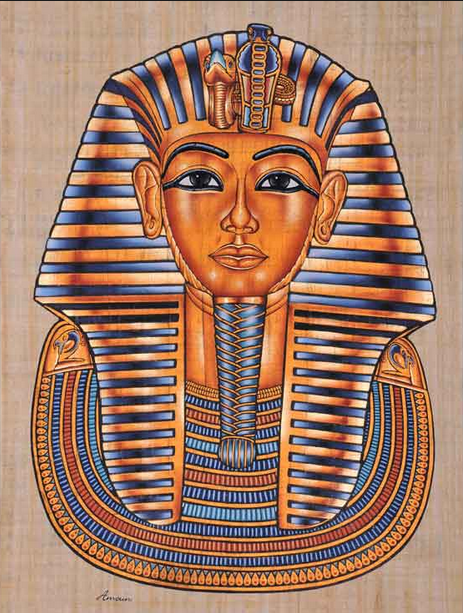 Papyrus painting – bazaar-egypt.com. I guess it all depends on how far the journey is and the area I’m travelling through. Although in all fairness, I’d prefer to have a mixture of airplane, if I had to cross any vast amounts of water/uninhabitable land; train, if the journey’s scenery and views were spectacular but it was too far to reach by any other mode of transport; and car/bike for the smaller, more accessible routes. That’s what I consider to be a cross-country road trip! #176: Do you belong in this day and age? Do you feel comfortable being a citizen of the 21st-century? If you do, explain why — and if you don’t, when in human history would you rather be? I think so… I don’t exactly have first hand experience of another century to compare it to, but it would have been interesting to live in the times of the Ancient Egyptians, thanks to my fascination with that era (see my post called 180 degrees, to find out the link I have to the famous Boy King!). Another time I would have liked to have lived, would have been when my Great Nan (who passed away last year, at the amazing age of 104) was in her late 20’s, as I only got to know her for a fifth of her life. I know this is still quite a while in the grand scheme of things, but I would have loved to have gone dancing with her! #175: Where do your morals come from — your family? Your faith? Your philosophical worldview? How do you deal with those who don’t share them, or derive them from a different source? The majority of my morals stem from my family if I’m quite honest and I find that if people don’t share these same morals, i.e. swearing, spitting, general rudeness, I simply try to limit the amount of time I spend around that individual. It does bug me, but not enough to lose my cool and say something to them about it. #174: We all have something we’d like to write about, but that doesn’t really “fit” our blog. Write it anyway. 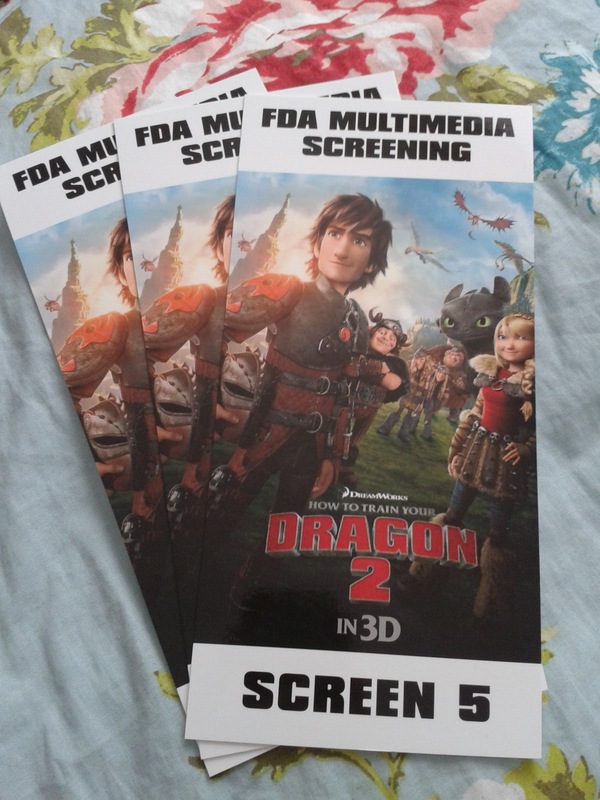 Yesterday, I took my cousin and her boyfriend to the gala screening of How To Train Your Dragon 2 – and boy was it good! I was first to arrive at Leicester Square yesterday, so whilst waiting I decided to have a little wander. 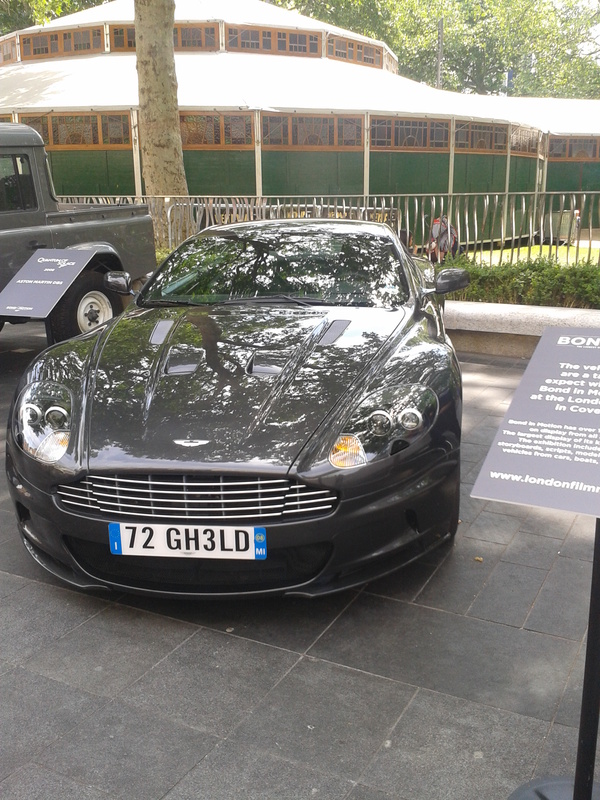 On my travels, I enquired about West End Live‘s mini exhibition opening times as I didn’t want to miss it, and then I stumbled upon a row of sleek vehicles. These were from the famous James Bond movies and were neatly lined up to promote a new exhibition, called Bond in Motion, that has recently opened at the London Film Museum. Once I’d met up with my guests, we entered the cinema – there were cute little dragon cookies on display (which tasted delicious may I add), refreshing “dragons blood” mocktails (which were a concoction of cranberry juice, orange juice and lemonade, over ice), the chance to feature on a HTTYD2 poster (we’re big kids so couldn’t resist dressing up in the famous vikings headdresses and attempting to slay my cousins boyfriend! ), as well as other activities for the kids… face painting, balloon dragon makers etc. When we entered the screening itself, we were treated to further refreshments, popcorn and a copy of Cressida Cowell‘s original novel! We put on our 3D glasses and in doing so, joined the biggest action packed adventure you could ever think of! Not only that, but this sequel was full of humour and it was visually, the best kids film to hit the big screen this year! The graphics were phenomenal and the hundreds of creatively designed dragons meant that you didn’t have a chance to get bored! So my congratulations go to everyone who was involved in making it – you’re all in for a very rewarding summer! After this, we went to the West End Live mini exhibition – such a great idea! 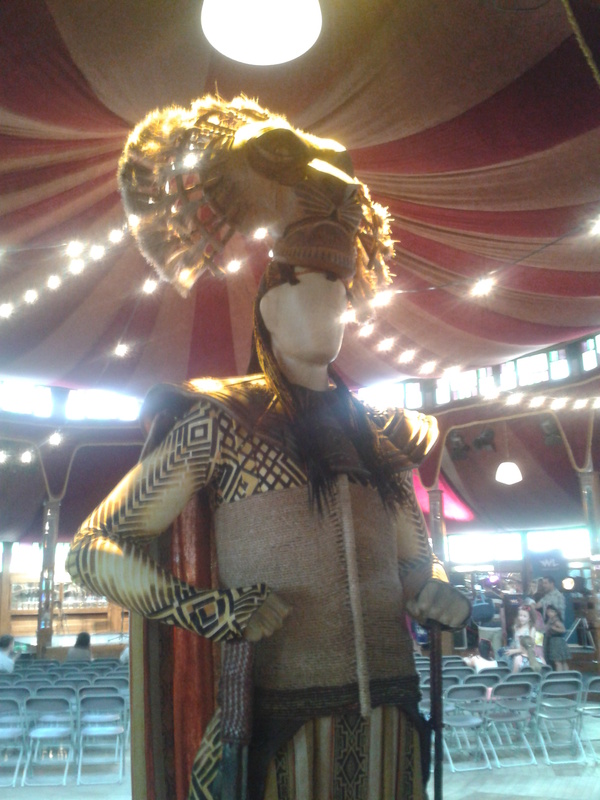 We were able to get closer to original scripts, set designs and costumes, used in our favourite theatre productions. My favourite (as you can see below), was Mufasa’s costume from The Lion King. The Lion King is my favourite West End show (joint favourite I should say, with Les Misérables) – the staging, the vocals, the costumes – everything is absolutely magical! There was also Elphaba’s famous outfit from Wicked, but the lighting restricted me from getting a decent snap. NB: words not written or at all edited by a third party – these are my own views and opinions, no one else’s. #173: If you could permanently ban a word from general usage, which one would it be? Why? It would be the extremely vulgar ‘C’ word… and not the one that sounds like dock either! I find this word (rhyming with blunt) extremely offensive and very aggressive, and hate when it is said. There’s just no need for it, regardless of how stress-y the situation is. I would love to permanently ban this for all eternity! This might sound silly, but I’ve never said it and I never will! #172: Tell us a joke! Knock-knock joke, long story with a unexpected punchline, great zinger — all jokes are welcome! I don’t really know any jokes, so I decided to google for some instead. Typing in ‘greatest jokes of all time’, I was presented with a list of 50 jokes that were supposed to be the best of the bunch… but they were truly terrible! I think humour these days has changed so much. Unfortunately, knock-knocks and one liners just aren’t enough anymore. There needs to be build up, other characters coming in to play… in my opinion, sketches are the way forward when it comes to knock out comedy.